The GBC Golf Academy at Mayfair Lakes is one of Greater Vancouver's premier training facilities, located just minutes from Vancouver. Our facility boasts two practice greens for putting and chipping as well as a practice bunker. 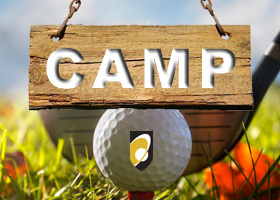 Voted "Best Golf Instruction Facility in Richmond" 5 years in a row, our team of CPGA certified Teaching Professionals are ready to tailor a lesson package to suit your playing needs. We offer a wide range of programs such a Ladies Only programs, Adult Group lessons, Private and Semi-private lessons and more. We are very proud of our Junior Academy and continue to strive to provide the best programs in a fun and safe environment. Our Junior Programs align with the Golf Canada's Long Term Player Development framework, and provide a systematic approach to junior golf development in Canada with emphasis on age appropriate training and competition exposure. We also incorporate the SNAG teaching system into many of our lessons as it has been a proven learning tool in our recreational programs. We believe that every student is unique and their potential is unlimited. We are very committed to providing quality instruction centered on each student's needs. We take a holistic approach to improvement and look at all the elements of the game. We blend the use of technology with the art of teaching to create a learning environment that is conducive to discovery and improvement. Whether you are new to the game or playing at a competitive level our instructors are ready to assist you, year round! Putting greens open year round. Practice bunker unavailable during lesson times. *Last bucket sold 30 minutes before dusk. All dates are weather permitting. Please contact the golf shop for more information regarding practice facility hours. We are located at 5460 No. 7 Road in Richmond, BC. BOOK A LESSON ONLINE or by phone at 604-276-0585 or contact Keri Moffat, Director of Instruction.